The recent appointment of Ebola Czar Ron Klain by President Obama last Friday got me asking some questions and doing some research on Klain. While his lack of any medical experience, his political hack background, and his skipping of a House Oversight hearing this week focusing on the Ebola crisis are all worthy pieces of information to discuss, the item that stands out the most to me is Klain’s connection to Solyndra, an Obama administration scandal of yesteryear. So let’s take a walk down memory lane for my series of Where Are They Now? The Obama Administration Edition – The Solyndra Scandal. Here’s a brief refresher of Solyndra – Solyndra, a solar-power equipment manufacturer, applied for a government loan through the Stimulus Plan (officially known as the American Recovery and Reinvestment Act of 2009), which was enacted by Congress and signed by President Obama in February 2009. The amount approved for the Department of Energy loan in September 2009 was a whopping $535 million. 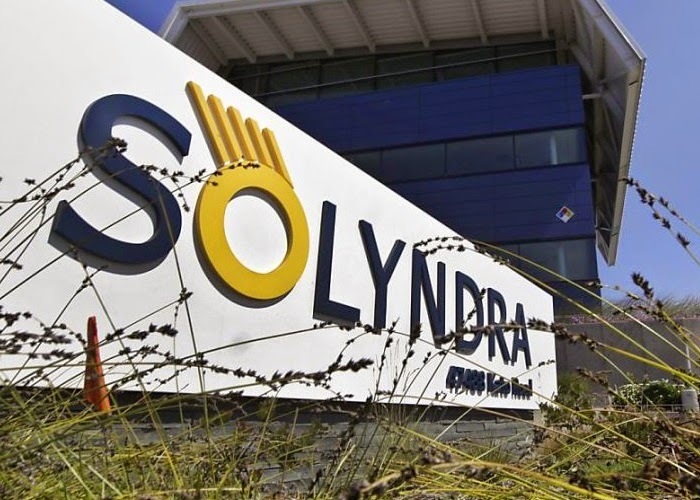 Auditors raised concerns about Solyndra’s abilitiy to continue operating. This is a huge Red Flag that customers, vendors, and lenders of any company with this problem would find alarming and consider no longer doing business with that company. Knowing that Solyndra was having financial issues, President Obama did what any normal person would do – visited the company that same month and touted it as a model of clean tech and job creation. After help from the DOE with refinancing and an additional $75 million, Solyndra filed for bankruptcy, laid off 1100 employees, and shut down operations in August 2011. This prompted FBI investigations and discoveries of a rush approval of the loan and DOE dismissing financial problems of Solyndra. So where do we stand now, over 3 years after the Solyndra Scandal? After the bankruptcy court case in October 2012, the court ruled that investors (read US taxpayers) would receive a measly $24 million back on the $527 million loan through bankruptcy proceedings. A mere 4.5% of a loan that was hastily rushed, pushed by Obama top donors, and did not stimulate the economy in any way, shape or form. And now, a central player in the Solyndra Scandal has been appointed as Ebola Czar. Ron Klain, as the chief of staff to Vice President Biden at the time, consulted with the DOE before downplaying Solyndra’s financial problems in an effort to push along the green initiative that Biden wanted to publicize during a September 2009 energy speech. Klain also stated that there was a very good likelihood that some green initiative companies would fail by 2012 but that was the reality of promoting “cutting edge, new economy industries.” So, it was better to get behind failing companies by deceiving the public for the short term PR boost. What sort of medical procedures and policies are we to look forward to under Czar Klain that are supposedly cutting edge and wind up being failures? And what truths about the Ebola crisis are just going to be manipulated to have the least damage politically leading up to the midterm elections? The last time Klain was in a position of influence, the economy suffered and people were laid off from their jobs. This time, it is the health and safety of Americans all over the country that will be affected by his policies.